Aaron from EFF writes, "EFF has just launched the Summer Security Camp, a two-week membership drive that challenges people everywhere to gather ‘round the online rights movement and prepare for the privacy and free speech challenges in their paths. Through the 4th of July, everyone who signs up as a Silicon level member and above can receive a set of three different miniature field guides with shareable digital security tips:"
* Border Search Guide: know your rights and defend personal data at the border. * Digital Security for Protesters Guide: protect communications while taking action. * Surveillance Self-Defense Guide: keep information safe from prying eyes every day. "These EFF members will have access to the printable versions of tips to share with friends and family, and also receive a special-edition embroidered patch to help show their support for the cause. Threats to privacy and free expression abound, but we don’t believe in the no-win scenario. We believe in being prepared and relying on the strength of our numbers. 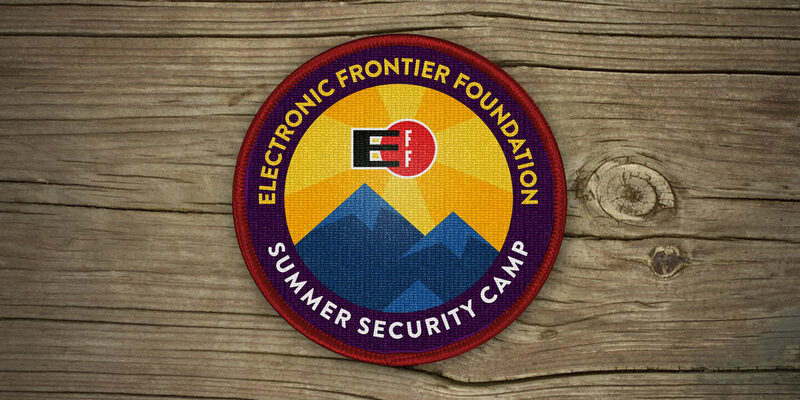 Join EFF during this week’s Summer Security Camp and for two weeks you can even become an EFF member for just $20."